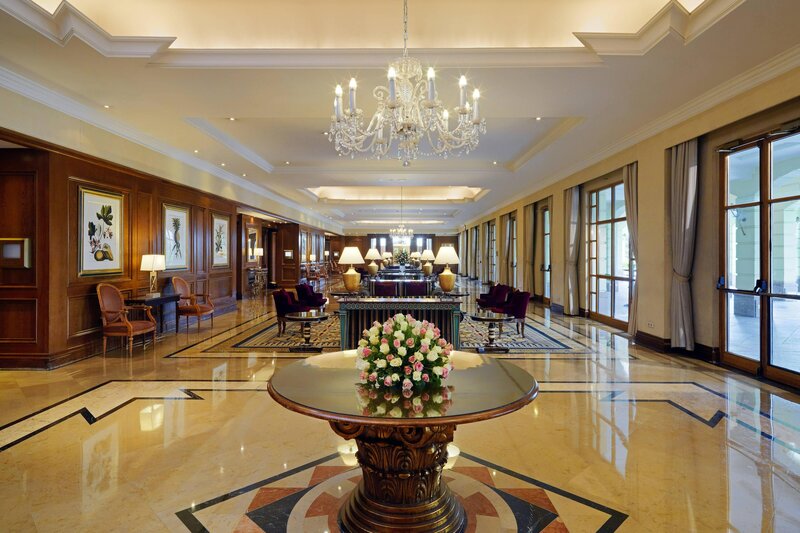 The Sheraton Addis Hotel, a sanctuary of Ethiopian grandeur. 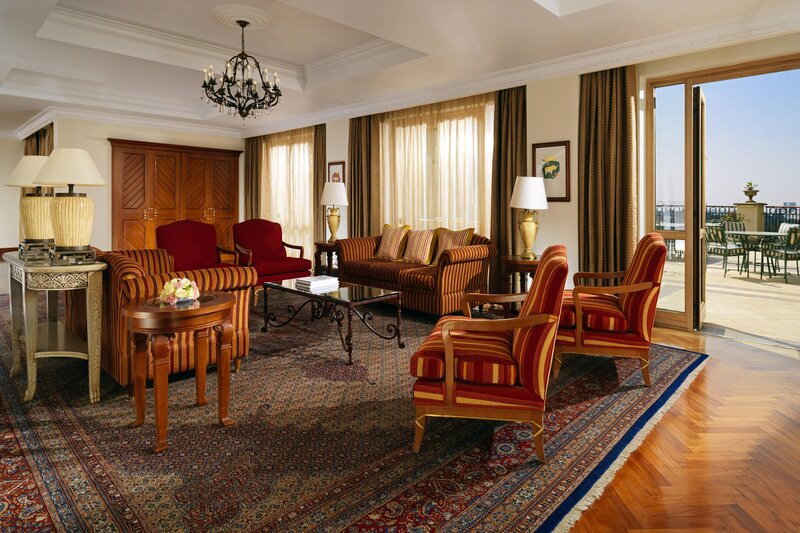 Located in the heart of the Ethiopian capital, Addis Ababa city, safely nestled between the National Palace and the Prime Minister’s residence, the Sheraton Addis sits on a hilltop overlooking the city with plunging views and acres of space just 20 minutes from Bole International Airport. Mixing African refinement with modern accents, its unique design is the epitome of gracious living. From glittering pools featuring enchanting underwater music, indulgent menu of soothing massages at the hotel&apos;s Aqva Club to a number of Gourmet Restaurants with numerous sophisticated options to dine and socialize, the Sheraton Addis delights all the senses. Around-the-clock service and fine amenities await in 295 rooms and suites designed to delight with exceptional comfort and personalized attention. For utmost privacy, secluded three-floor villas provide opulent retreats with personal outdoor pools. Providing a bountiful array of flavors and aromas, the Sheraton Addis offers a choice of eleven restaurant and lounge options that will seduce the most discerning palate with culinary delights from all around the world—from Italy’s Stagioni and India’s Shaheen, to Asian and Middle Eastern nights at Summerfields. An elegant space sets the stage for a special celebration featuring impeccable service and unrivaled cuisine from a variety of specialty evenings of Continental nights including Asian and Middle Eastern. Summerfields also hosts a generous Sunday Brunch buffet with unlimited sparkling wine offered to its guests. Graced with breathtaking views, our traditional Italian restaurant provides a warm welcome to the guests with its earthed walls, wooden beams, and terracotta floor tiles. Warm, wood paneling creates a tranquil mood, and pictorial images of Ethiopia&apos;s past transport you back in time, as you enjoy a wide range of exclusive drinks and cocktails. Exquisite selection of Martini cocktails. 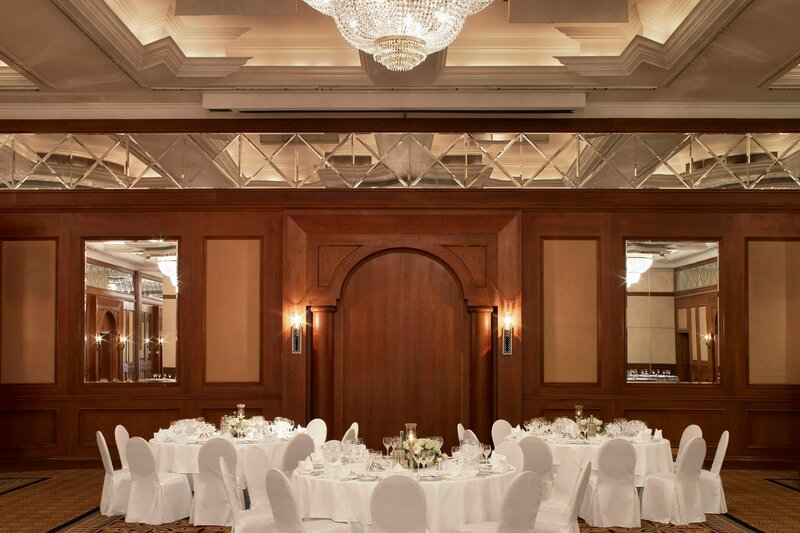 Evocative venues suitable for large conferences or as a wedding hall welcome your group into the iconic beauty of the Sheraton Addis Hotel in Ethiopia. 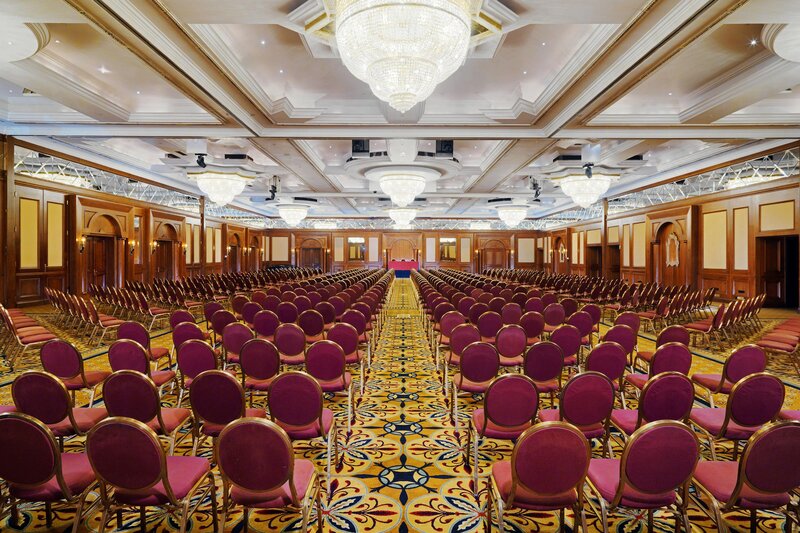 With more than 1,500 square meters of compelling function space, we offer the largest banquet and conference facilities in Ethiopia. Experience an exceptional level of personal service in our three-floor VIP Private Villas boasting five bedrooms, plenty of space and an additional level of privacy. 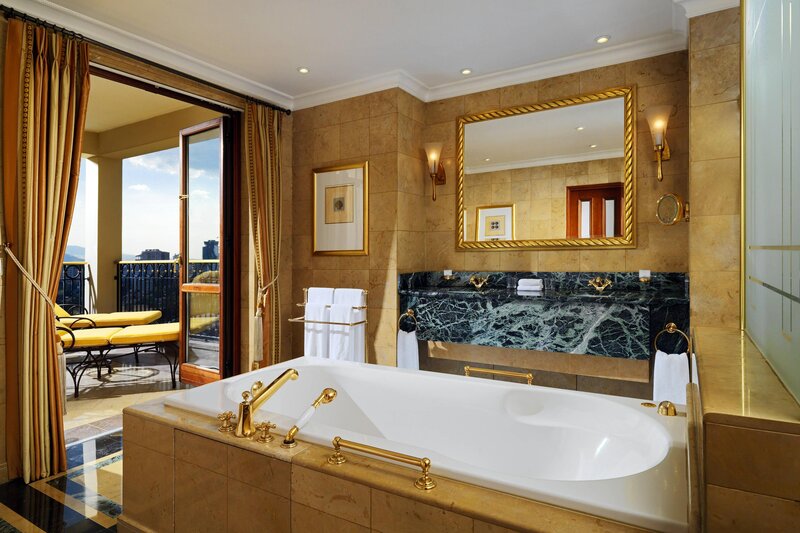 The Sheraton Addis Villas represent the pinnacle of luxury and privacy. Our expansive three-floor 682-square-meter Villas embody the pinnacle of luxury with a separate entrance and driveway insuring utmost privacy. The fully equipped kitchen is stocked with an ice maker, refrigerator, microwave, dishwasher, and china. Entering the villa, guests step into a world of perfection and beauty, with furnishings of impeccable elegance, precious artwork, and sophisticated entertainment including a 42" flat screen television in each room, High Speed Internet Access (available at a charge), thirty telephone lines, a fax line with DID (direct inward dialing), and mobile wireless phone. Experience the finest in the art of living, with privileged access to a private patio with sun beds, outdoor swimming pool, gymnasium, sauna, and Jacuzzi. Our four massive Executive Suites are beautifully decorated and sumptuously furnished. Each Suite has its own unique style, an evocative atmosphere combining elegance and comfort. We are delighted to provide guests with exclusive private butler service, fresh flowers, and VIP amenities for the highest level of service and dedicated care. Often called the “African capital” for its historical, diplomatic and political role in the continent, Addis Ababa lies at the foot of Mount Entoto and rises over 3,000 meters (9,800 ft) in the mountains to the north. Situated on a hilltop overlooking the city, the Sheraton Addis stands opposite the National Palace, formerly known as the Jubilee Palace, built to mark Emperor Haile Selassie&apos;s Silver Jubilee in 1955. About 7 km (11 miles) away from Bole International Airport, the hotel’s central location provides easy access to the city’s commercial districts, the UNECA Headquarters, the United Nations Conference Center, the AU Headquarters, as well as to most business establishments and NGOs. Many of Ethiopia’s most renowned attractions are within easy reach. Our concierge desk will gladly arrange excursions to the ancient capital of Axum, the fabled rock churches of Lalibela, the Filwoha thermal baths, or the Merkato, one of the largest open-air markets in Africa.